The Australian Competition and Consumer Commission (ACCC) has issued Federal Court proceedings against Australia's largest group buying website Scoopon. The commission is accusing Scoopon of misleading and deceptive conduct and making false and misleading representations to businesses and consumers. Rod Sims, chairman of the ACCC, said in a statement the ACCC alleges that Scoopon misled consumers regarding their ability to redeem vouchers, refund rights and the price of deals advertised in some of its deals. 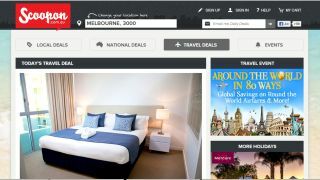 The ACCC also alleges that Scoopon led businesses to believe that there was no cost or risks in running a deal through Scoopon's site even though there was a fee to be paid and that up to 30 per cent of vouchers would not be redeemed without any "reasonable basis for this representation". The commission said that it had received a number of complaints since the group buying industry emerged in Australia in 2010. "The ACCC has worked closely with other Australian Consumer Law regulators to address issues and improve practices in the sector to reduce consumer and business detriment," said Sims. "The ACCC has made online competition and consumer issues a compliance and enforcement priority. Ensuring that the digital revolution delivers competition benefits to consumers and small businesses is a focus for the ACCC." Scoopon's parent company, The Catch Group, also runs other daily deals sites including Catch of the Day, Vinomofo and Mumgo. It has since released a statement, saying that it does recognise the need to continuously improve its deal selection and customer service policies. "Since we began, Scoopon has improved its processes for selecting and managing deals to improve our customer experience and is a founding signatory to the ADMA [Association for Data-driven Marketing and Advertising] Code of Practice, which is aimed at increasing consumer confidence in dealing with group buying platforms," it said. "We will review the ACCC allegations made and work to resolve the issues raised."